As I read more and more about brain mapping and how to change the pain mappings in my brain I am reminded about how intensely I wrote in my book regarding the highly sensitive person (HSP, according to Elaine Aron). This is the ’empath’, the person who senses what other people are feeling and takes on the emotions of others as though they were her/his own( I don’t mean this in the usual sense of the ‘psychic’ person, or in any mystical way). 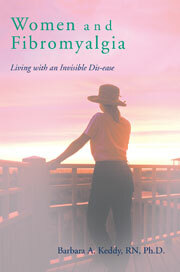 I still stand by that description of the person with fibromyalgia. We are like a toxic sponge! Now, I believe that this type of person (mainly, but, of course not solely, women) has the personality characteristics of the self sacrificing, doing good for others (what Dr. James Rochelle calls ‘goodism’) and ‘giving yourself away’ (a term my physiotherapist coined). When I think of Florence Nightingale on this May day, her birthday month, suffering from fibromyalgia, I think of her as a primary example of self sacrificing. This entry was posted in allmothering, brain mapping, CBC video, David Suzuki, dis-ease, Dr. Norma Doidge, Dr.James Rochelle, Dr.Peter Levine, emotional trauma, empath, fear, Fibromyalgia, florence nightingale, goodism, group gatherings, neuroplasticity, neuroscience, psychonuerologists, root cause of fibromyalgia, self sacrificing, self-regulation therapy, sensory input, talk therapy, The Brain that Changes Itself, The Naute of Things, ultra-sensitive person, unconscious brain, Waking the Tiger Healing Trauma on May 9, 2009 by Barbara Keddy.